Applying the economics of climate change to antimicrobial resistance could help to avert the 10 million deaths that are predicted to occur by 2050 if urgent action isn't taken, research involving University of Exeter finds. Recent reports commissioned by the U.K. government estimate that if no action is taken, by 2050 AMR will cause up to 10 million annual deaths globally. The substantial effect on the health and productivity of the workforce may also reduce gross domestic product (GDP) by 2 to 3.5 percent. A review published in Science argues that a range of economic levers can help tackle the challenges AMR presents, including assessing the full social cost of antibiotic use when the impact of resistance levels on health and GDP are taken into account. 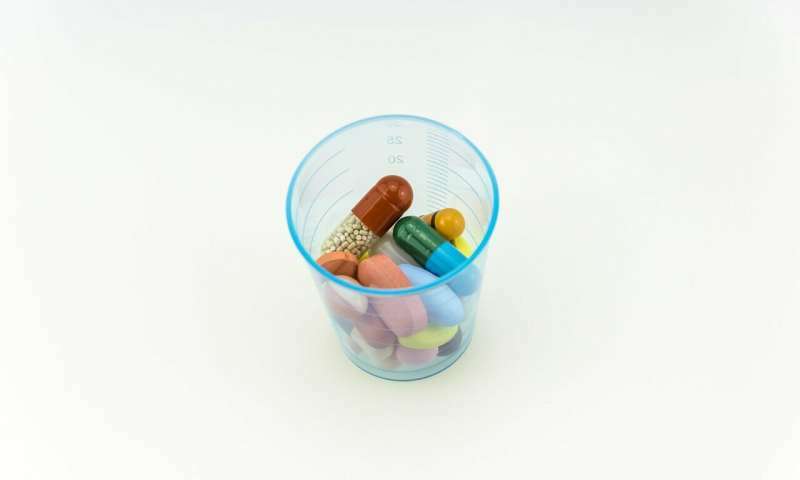 Co-author Professor Richard Smith at the University of Exeter added: "If the cost of antibiotics increases, via taxation or quotas, it will be vital to develop mechanisms to reduce the risk that they will only be taken by those who can afford them. Future research must consider ways to reduce overall antibiotic consumption without restricting essential access. There is an opportunity for economists across many fields to engage with this pressing global problem." The development of new antibiotics is rarely profitable and most major pharmaceutical companies have left the field. The review argues that new ways are needed to make antibiotic development profitable, decoupling profits from volumes sold, a recommendation that is in line with the U.K.'s five-year national action plan, published in January. Incentives should also be offered for developing interventions that reduce antibiotic use. Lack of access to antibiotics still results in more deaths worldwide than antibiotic resistance. Lead author, Dr. Laurence Roope, of the Health Economics Research Centre (HERC) in the Nuffield Department of Population Health, University of Oxford said "In low- and middle- income countries inadequate access to antibiotics among the poor is often coupled with over-consumption of antibiotics by the middle classes. It is estimated that universal provision of antibiotics could avert 75 percent of deaths from pneumonia in children under the age of five in these countries. Balancing the need to reduce overall antibiotic use with expanding essential access is a difficult but important challenge." Widespread use of antibiotics in farming also contributes to AMR. 80 percent of antibiotic use in the US is in agriculture and aquaculture where they are used to promote livestock growth or as low cost substitutes for hygiene measures to prevent infections. Taxes and quotas could be used to discourage unnecessary use of antibiotics in animals and reinvested in research and development. Co-author Dr. Sarah Wordsworth, also at HERC said: "The development of new antibiotics needs to be profitable regardless of prices and sales volume. We need better incentives to encourage pharmaceutical companies to reengage with antibiotic development. We require both 'push' incentives such as research grants and tax credits, to bring down R&D costs, and 'pull' mechanisms to provide sufficiently attractive returns on investment for developers."